Researchers at Washington State University have discovered how past societies reacted to climate change thanks to new computer technologies that are restructuring the field of archaeology. The data from these studies could help with modern crop identification and provide solutions to environmental challenges like drought and extreme weather conditions. “For every environmental calamity you can think of, there was very likely some society in human history that had to deal with it,” said Tim Kohler, emeritus professor of anthropology at WSU. 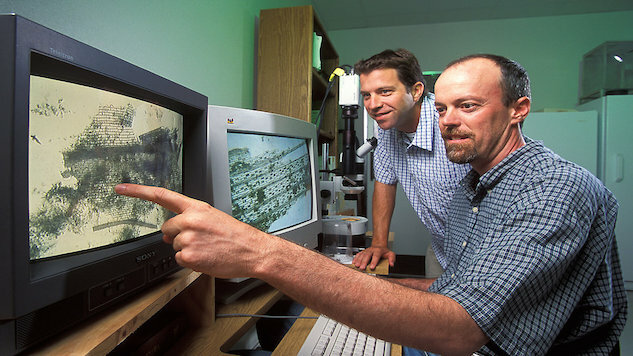 Kohler is a leader in the archeological modeling field and developed the computer simulations used by the Washington State University researchers. Agent-based and crop-niche modeling was performed to conduct the studies. ”[Agent-based modeling] enables us to not only predict the effectiveness of growing different crops and other adaptations but also how human societies can evolve and impact their environment,” said researcher Stefani Crabtree. Agent-based modeling explores the human impact on an environment during climate change. Crabtree equates this type of modeling to a video game because of the ability to program parameters and allow virtual agents to form the logical conclusion. Crop-niche modeling is used to predict where plants grew well in the past in order to determine the best locations for them to flourish today. With hundreds of years of worldwide data still to be computerized, there is vast untapped scientific potential in the field of Archeology-based modeling. Chamberlain Smith is a science intern and a freelance writer based in Athens, Georgia.